You’ve decided on the area of Paris you want to stay in, and you know that the Latin Quarter is a very popular area for tourists. But how do you know where to stay? Which are the best hotels in Paris with everything that your family needs? Let me start out by giving you a realistic expectation of hotels in Paris: hotel rooms are very small and expensive. That’s not to say that you can’t find cheap accommodation in Paris. But the value for money aspect isn’t the greatest. Yes you can find family hotels in the Latin Quarter for under $150 per night, but they wouldn’t be much bigger than a shoe box. And they are usually at least a 30-40 minute Metro ride away in one of the outer arrondissements. Which is fine if your stay in Paris is for several weeks and you have the time and leisure to spend on the Metro. My recent post on the different quarters in Paris is a great guide to all the arrondissements in Paris. Most families only spend a few days in Paris and want to see and do as much as they can without wasting their time on the Metro. And there are so many fun things to do with your kids in Paris. Every family is different, and every family has its own needs and preferences. 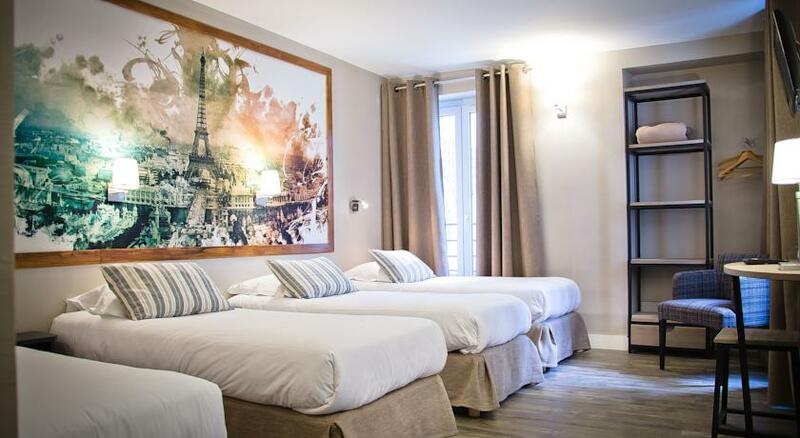 There are so many different types of accommodation options, you’re bound to find one of the best family hotels in the Latin Quarter for your family’s needs (if Airbnb sounds more appealing to you, then read this). 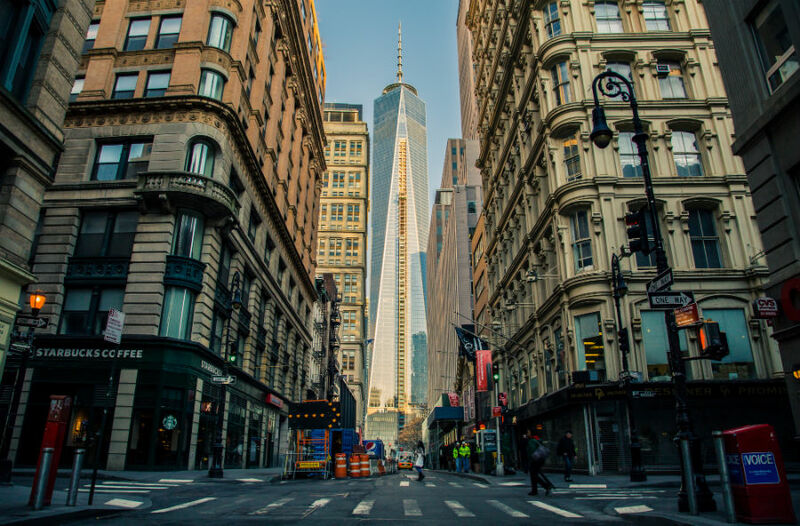 Before you start searching for hotels, I would recommend that you firstly think about the features and services that you would like in your ideal hotel, and then think about which of these things are most important to your family. You may not be able to find somewhere that has absolutely everything you want, but you should find a hotel that has the important things your family needs to have an enjoyable and comfortable time in Paris. -Does your family sleep better with complete silence or is some noise ok? 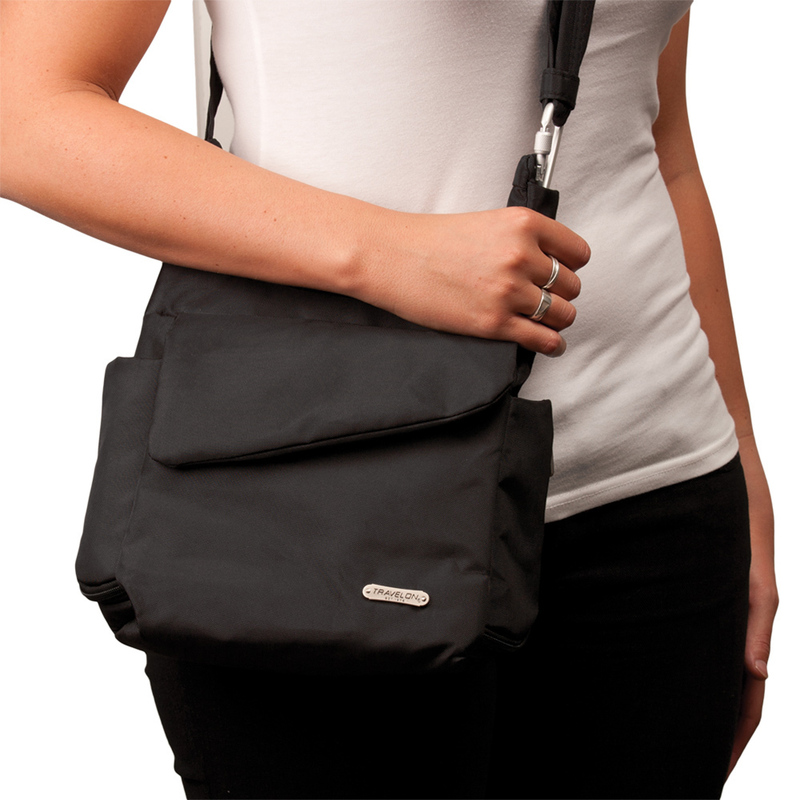 -Does your family enjoy walking or prefer to use public transport? -How much are you willing to spend on accommodation? -Can your kids cope with eating out at restaurants? -What are the kinds of things you would expect in a hotel- a television? A hair dryer? Laundry services? -How many beds does your family need? Are your kids happy to share a bed or do they need their own bed each? -Does the hotel offer a shuttle bus to or from Charles de Gaulle airport? -How close is the hotel to the Metro? -What sights and attractions are within walking distance to the Metro? -Is the hotel in a quiet neighbourhood or somewhere lively? -Is there a supermarket, market, bank, bakery, café near the hotel? -Does the hotel have a safe to lock valuables? -What time is check in? What time is check out? -Does the hotel have a refrigerator? -Does the hotel serve breakfast and if so, is it free? Thinking about some of these questions and requirements, I have come up with five of what I believe are the best hotels in Paris in the mid-upper range, all located in the Latin Quarter. Located in the busy and touristy St Michel neighbourhood, staying at the Hotel du Levant means that you are never far from the excitement and livelihood of the Latin Quarter. 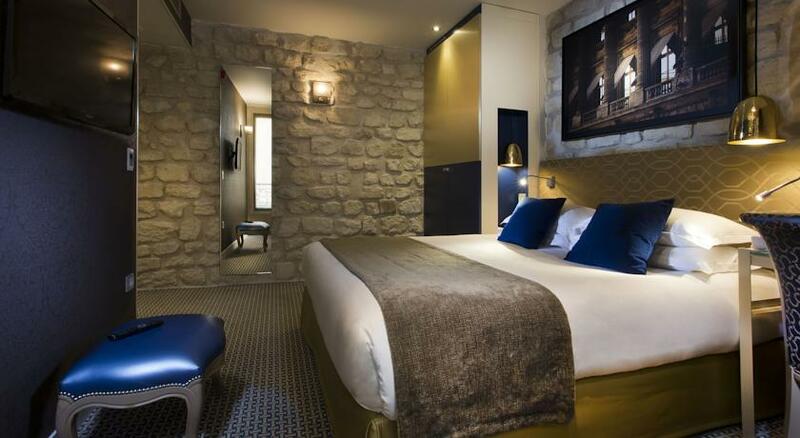 Only a 10 minute walk to the Notre Dame Cathedral and Saint Chapelle, the Hotel du Levant is a boutique hotel with small but comfortable and clean rooms with air-conditioning and free wifi. Rooms overlooking the street give you a great view of life in Paris, but if you are a light sleeper then request a room facing the back which is quieter. The hotel offers a free breakfast, and there is a small lift which means you won’t have to drag your luggage up many stairs. 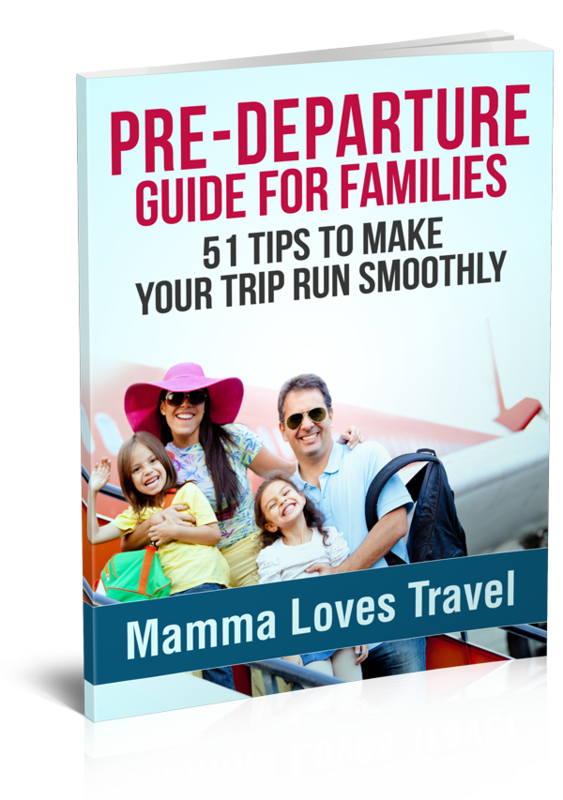 If you are travelling to the airport, the hotel can organise a shuttle to take you there. The hotel can accommodate a family of 5 in its interconnecting room. Click here to view or make a booking at the Hotel du Levant. 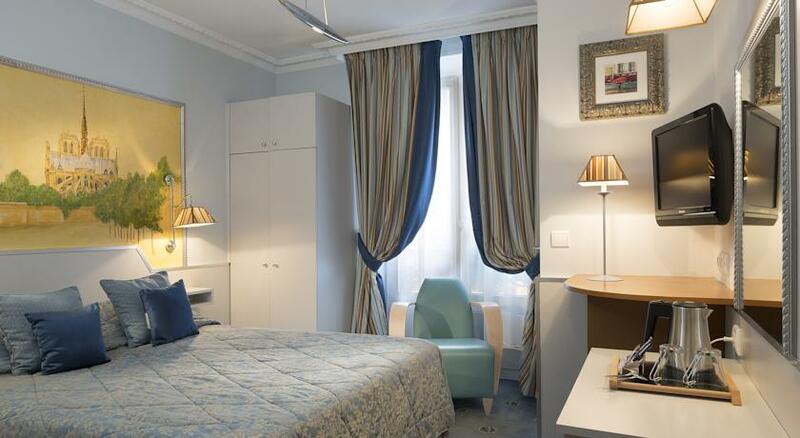 South of Boulevard St Germain, the Hotel Excelsior Latin is only about 250 metres away from the family-friendly Jardin du Luxembourg, and a 5 minute walk from the Metro and the Pantheon. The clean and elegantly decorated rooms have air conditioning and free wifi, and the Luxury Suite can accommodate a family of 5 (and it features a bathtub). Breakfast is available at AUD$16, or if you prefer there are cafes and supermarkets nearby. The hotel has a common kitchen area and a cute floral courtyard. The friendly and helpful staff can also arrange an airport shuttle. Click here to view or book at the Hotel Excelsior Latin. 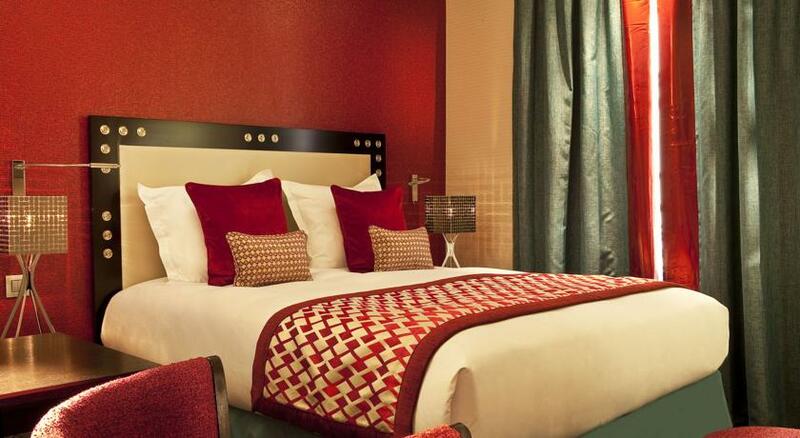 The Hotel le Petit Paris is a 4-star hotel located very close to the Jardin du Luxembourg. It is also close to the Metro and the RER, with a direct line to the airport- great for larger families who cannot catch a taxi. If you are a music fan, you might be interested to know that Jim Morrison of The Doors stayed in this very hotel in the summer of 1970, the year before he died in a Paris apartment in the Marais quarter. The rooms at Hotel Le Petit Paris are soundproofed and air conditioned, however noise can still be heard from the busy street- the hotel is on a busy street. If noise is a problem for you, then make sure you book your hotel room well in advance and ask for one of the rooms facing the back which are quiet. Breakfast is served daily and the hotel reception staff are helpful and friendly. Click here to view or make a booking at the Hotel Le Petit Paris. 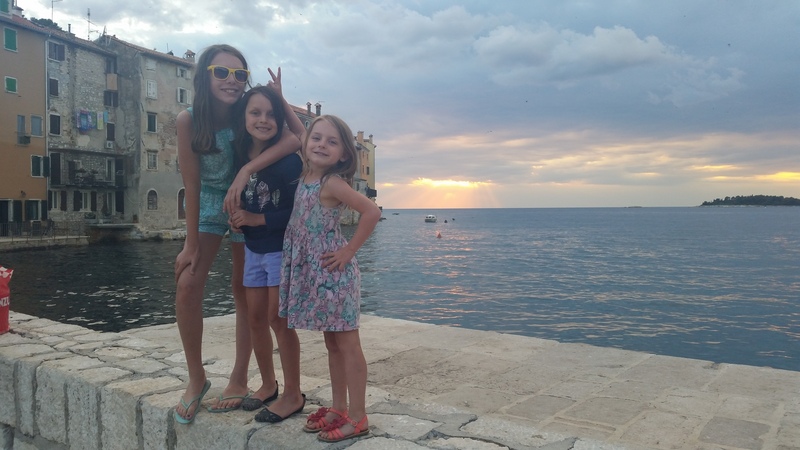 This is a very suitable hotel for larger families, with connecting rooms available and some where the room is located upstairs, which is great if you are travelling with teenagers who want some privacy. Deluxe suites have a sauna! All rooms are fully renovated and air conditioned. The hotel is located close to the Pantheon and the Museum of Natural History (very popular with kids). It is a 5 minute walk to the Notre Dame and for those feeling energetic enough, it is a 45 minute walk to the Eiffel Tower. For those who have a rental car, there is secure public car parking close to the hotel. There are plenty of restaurants and cafes nearby, and the metro is only 200 metres away. Click here to view or book at the Hotel Atmospheres. 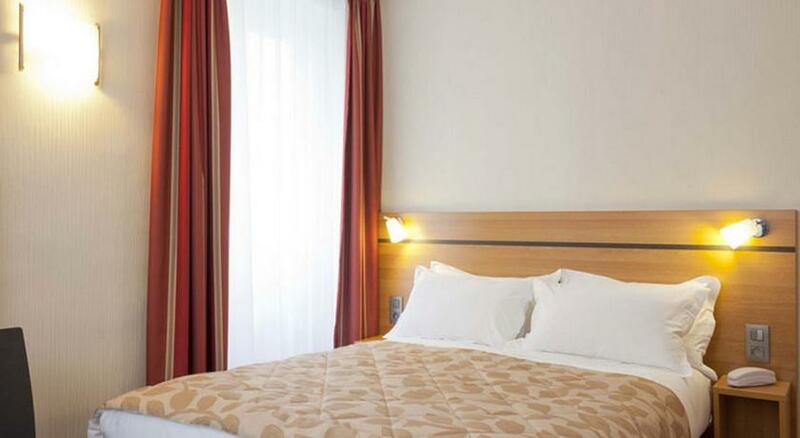 A 2 star hotel but great value for money, the Hotel Cujas Pantheon has basic but clean facilities in a central location 500m away from the Metro and 50m away from the RER which connects to the airport and Versailles. The hotel has a restaurant in its vaulted cellar where breakfast is served daily. All rooms are air conditioned and the hotel has an elevator. There is also a laundry service available. If you want to book a room here, then be quick as the hotel is booked out quite quickly- it is known as being a hotel with great value for money! Click here to view or make a booking at the Hotel Cujas Pantheon. Searching for the best hotels in Paris involves a lot of researching- I started researching accommodation options 8 months before our trip. 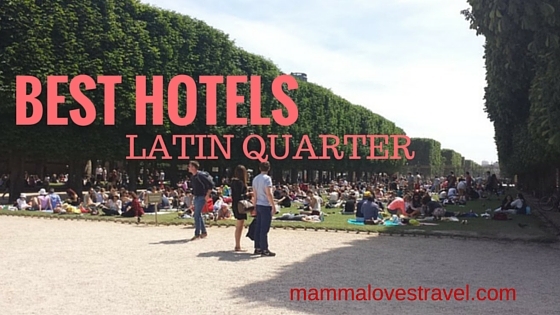 My guide to the best hotels in Paris will give you a better idea of what is available in the Latin Quarter, and should make your research experience a lot easier. Please share this post with family or friends that may find it helpful. Disclaimer: This article contains affiliate links. I may make a small commission if you make a booking after clicking on one of the links. All hotel images were obtained from booking.com. 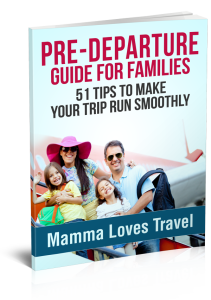 A great selection of hotels and some really useful tips on what to think about before you book your family accommodation – I too always start with looking at the facilities a first. I wish so much that I was needing to find a hotel in Paris… (sob, sob!) Amazzzzing! That sounds like the perfect way to celebrate a 10th wedding anniversary Julie! All the hotels look lovely. I will gladly stay in any of these. Some great advice here. When we went to Paris we booked an apartment, I don’t think it was through air bnb but something similar (or maybe it was), you certainly need to shop around to get a good deal. It’s great there are so many options out there for all budgets and needs! I’ve never had Paris on my ‘to-see’ list funnily enough. I find the idea of country France much more appealing. Although I love that red bedspread up there in one of the pics! Great hotels! Paris is so expensive for hotels, it’s a joke 🙁 Deciding where to stay there is always a problem! I can imagine that for families is even harder!